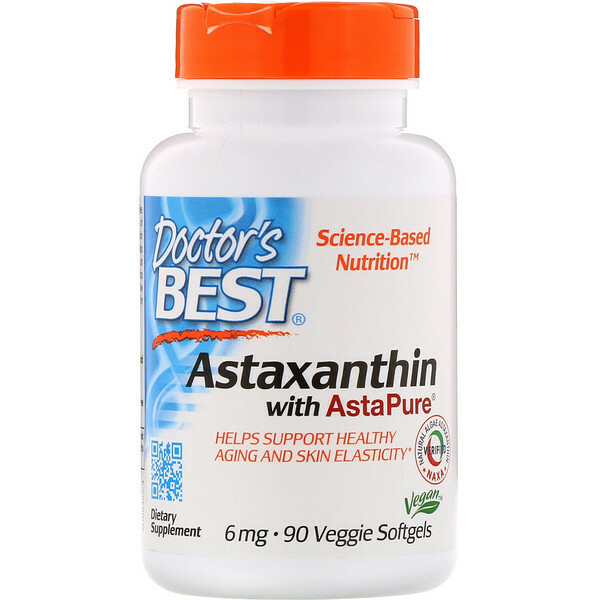 Doctor's Best Astaxanthin with AstaPure supplies natural astaxanthin from solvent-free extracts of microalgae Haematoccus pluvialis. Astaxanthin helps boost skin moisture and elasticity. It also helps inhibit the visible signs of aging. Astaxanthin is an antioxidant that reduces free radicals and helps address age-related conditions linked to oxidative stress. 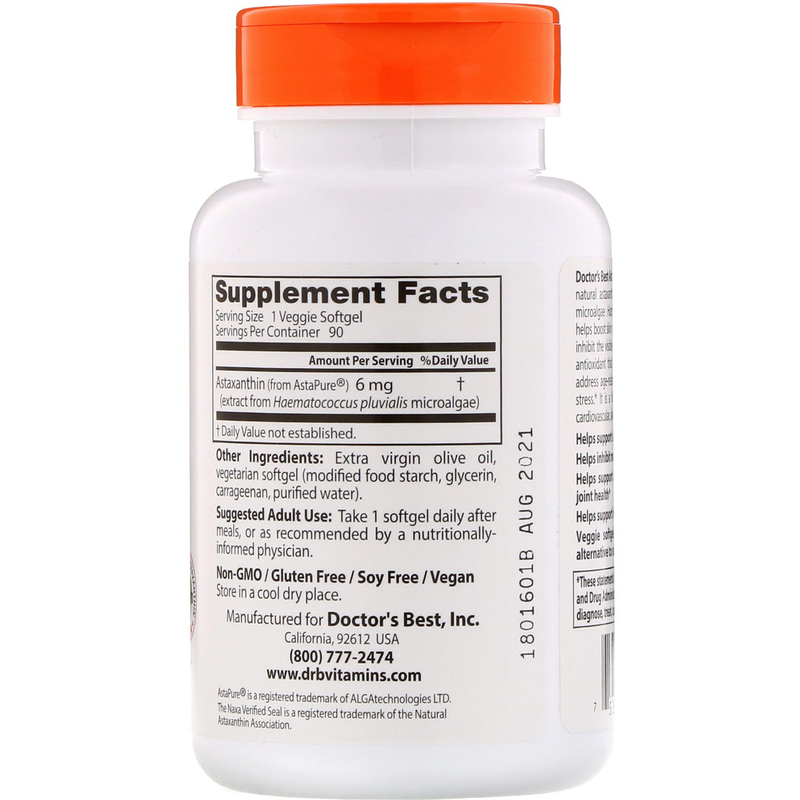 It is a highly bioavailable antioxidant for cardiovascular, skin, eye, and joint health. Adult Use: Take 1 softgel daily after meals, or as recommended by a nutritionally-informed physician. Extra virgin olive oil, vegetarian softgel (modified food starch, glycerin, carrageenan, purified water).